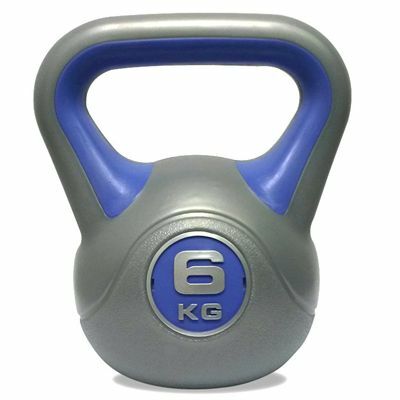 The DKN vinyl kettlebell weighs 6kg (13.2lbs) and has a strong moulded construction. It helps to burn calories, as well as to develop core strength, functional strength and tone the muscles. The kettlebell ensures a perfect grip thanks to the ergo designed comfort handle and offers an anti-slip base for more safety. In addition, it comes with a fully detailed workout chart. for submitting product information about DKN 6kg Vinyl Kettlebell We aim to answer all questions within 2-3 days. 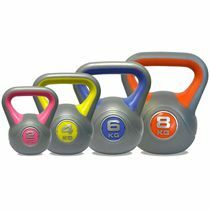 for submitting product information about DKN 6kg Vinyl Kettlebell. We aim to answer all questions within 2-3 days. If you provided your name and email address, we will email you as soon as the answer is published. for submitting product review about DKN 6kg Vinyl Kettlebell.